Welcome to my blog Ann Girdharry. Ann Girdharry was born and educated in the UK. A trained psychotherapist, she has worked for many years as a manager in the not-for-profit sector, for agencies working with: carers, vulnerable older people and those with dementia, survivors of abuse, and victims of racism and racial attacks. Today, she lives in Montpellier, France with her husband and two children. When I was a child, my ambition was to be an astronaut. I loved science. Well, I can tell you that would never have worked out, at least, not the astronaut part – sometimes I can get travel sick even in the back of a car! I went on to study science, actually Biochemistry, but was turned off by all the animal experimentation and lack of ethics in the pharmaceutical industry. This was a problem for me because the pharmaceutical industry is the main source of funding for research in this field. I have read many good and enjoyable books over the years and I like to read widely. In the mystery and suspense genre, my favourite book is Child 44 by Tom Rob Smith. This has been on my ‘to read’ list for a long time and I just finished it recently. 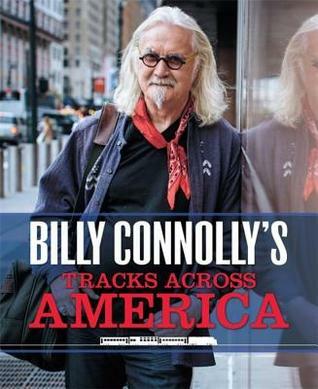 It’s a wonderfully written book – full of tension and great story-telling. 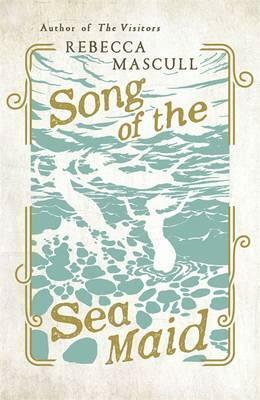 Towards the end, I actually slowed down reading it, because I didn’t like the idea of it coming to an end – and I think that shows you how good it was. If, one day, my books sat alongside this one on a bookshelf, I’d be very happy! The road has been long and it’s been happy. I’ve always been creative and imaginative. I won my first story writing competition at school at age fifteen and writing remained a side-line hobby for most of my life. For unknown reasons, after the birth of my second daughter (I have two daughters) I fell into a period of creative frenzy. Perhaps it was the effect of spending long periods of time in the house with two small children, perhaps it was the child birth, maybe it was simply emotion– I don’t know – but I wrote every day and I absolutely had to write. Everything spilled out – poetry, short stories, flash fiction – and it was that period that pushed me to refocus on my writing and which finally led to me creating this novel. The truth is, I’ve always had an ‘over-active’ imagination, so writing is a great channel. Once you’ve learnt the art of writing, it becomes a passion. I see you are well travelled. Tell us about that. I know that I have a nomadic streak and I often feel restless. I think this has been passed down to me through the generations. My ancestors were indentured labourers who moved from the poor suburbs of India to work the sugar plantations in what was then British Guyana. That was about five generations ago, and Guyana is long since independent. In return for their labour, my ancestors ‘earned’ their plot of land in Guyana and that’s where my parents were both born. My mother came to England to work as a nurse, then as a midwife, and I was born in the UK. For my own part, as an adult I’ve lived in the USA, Norway, spent a few years back in the UK and now I live in France. 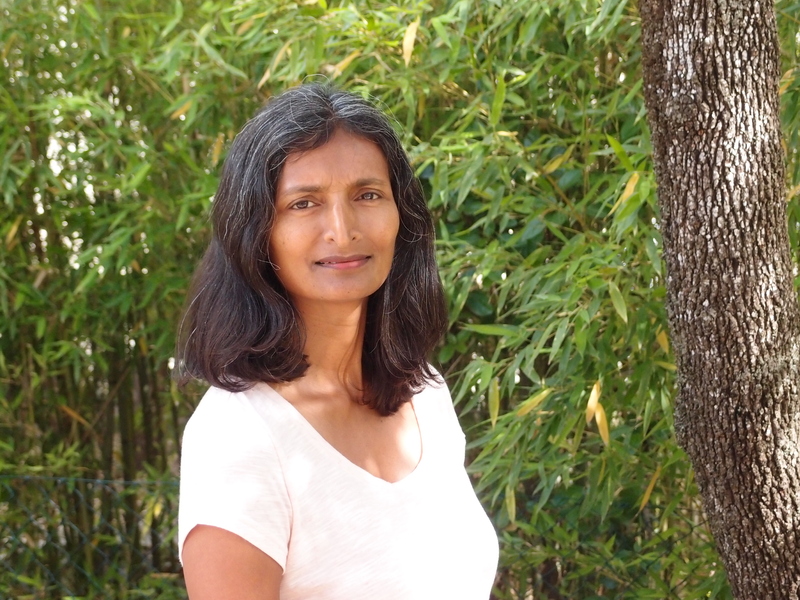 In my life, trips to India and Guyana have been important to me and I have family and cousins all over the world (my father was one of ten, and my mother one of six). My family history definitely influences my world view. It also influences my on-going support and interest in the issues of settlement and successful integration of immigrant communities and refugees. How do you choose where to site your books? I choose places that have had an impact on me (good or bad) and which I can describe in vivid or attractive detail. I remember reading at one time of a writer who was living in (I think) Bangkok, specifically to research his new book (I think this was Jo Nesbo) – I am not in that situation! So I draw on my own past experiences to choose settings. Let’s talk early careers – How has your work with the vulnerable and disenfranchised influenced your writing? This is an integral part of my writing, although the influence often comes in as an undercurrent rather than as the main theme of my stories or characters. Certainly, my understanding of psychology and my experience of working for and with people in various situations of crisis, brings a humanity to my writing and, I hope, an insight. My characters are perhaps not the usual ones you find within the pages of books, especially not the usual ones you find within a suspense thriller. Let’s talk about the characters in your book? Who influenced your portrayal of Kal? Firstly, Kal is many young women I’ve known wrapped into one. She’s got guts – she’s determined – she’s going to fight against the odds and the odds are stacked against her – I’ve known several young women just like that. She’s got a tiny part of me in her (from when I was younger, and I hope, the best parts though with time and how memories can fade, perhaps I’m deluding myself there!). Part of her is made up of a person who can understand detail, who pays attention to detail, who has been taught to interpret and theorise based on detail and instinct. This is built from a certain temperament and a certain mind set, that again, I’ve seen and met close-up in people that I’ve worked with and for. 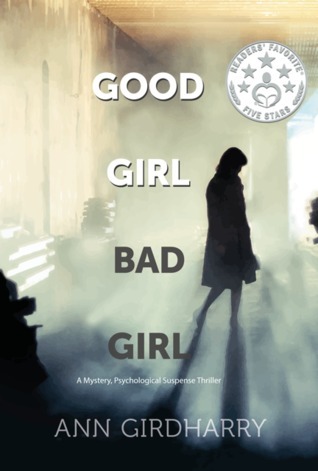 Good Girl Bad Girl is the first book in the Kal Medi series. Kal has more adventures and difficulties to face and I’ve just started writing the second story. If you want to be in on it, you might want to join my Reader’s Group (you can find details on my website). From time to time, I keep in touch with my Reader’s Group, and they’ll be the first to know as the new book progresses. 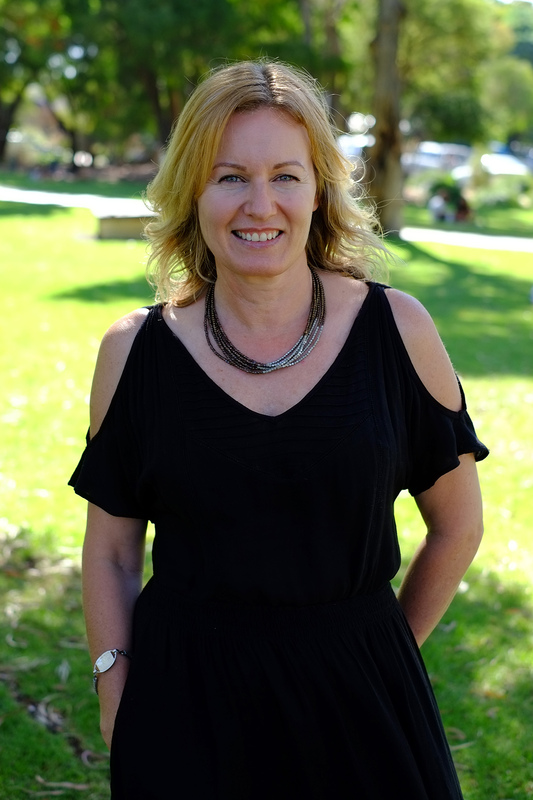 Danielle Costley is an experienced Editor, Author and Journalist having spent the past 20 years’ working in the Australian and international media arenas. Currently, Danielle is a freelance journalist for Decanter magazine, SCOOP magazine and The Australian and New Zealand Grapegrower & Winemaker magazine. Danielle also works as an Editor on manuscripts across all genres, as well as on corporate publications and websites. 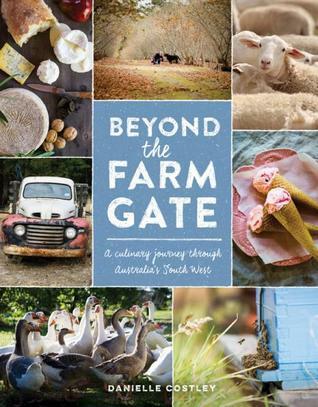 Her latest novel, Beyond the Farm Gate: a culinary journey through Australia’s South West, has just been released by Margaret River Press. This book showcases the South West region’s local produce, allowing consumers to connect directly with artisan producers and discover hidden gastronomic gems. This is Danielle’s third book, following on from her highly successful debut children’s novel, The Golden Orb, which featured in the Premier’s Summer Reading Challenge, a government initiative designed to encourage school children to read and improve literacy levels in WA. Danielle has also co-authored Western Australia – The Quest for Excellence, a business book profiling emerging and established companies in WA. Let’s talk writing. Do you belong to a writers support group and if so how does this group support your writing efforts? Yes, I’m a member of the Margaret River Writer’s Group and we meet each month to share and talk through our various writing projects. It’s a great forum for both giving and receiving feedback on our work and helping us improve upon our stories and ideas. I started writing Beyond the Farm Gate two years ago. I was having a coffee with my publisher, Caroline Wood from Margaret River Press, and we discussed producing a book about food growers from the south west region. Many people think only of Margaret River when they think of the south west and through this book I wanted to take them off the beaten track to all areas of this magnificent region such as Harvey, Capel, Balingup, Nannup, Manjimup, Pemberton, Augusta, Rosa Brook and, of course, Margaret River. I am a passionate foodie and food and wine journalist, so I was immediately intrigued about embarking on such a project. We talked through the concept for the book and decided I would write about twenty stories and twenty or so recipes on food producers, on the basis that all of the food is locally grown and nothing is outsourced. That is why there are no coffee brewers, bakers or chocolatiers included in the book. J I used to be a roving reporter throughout rural WA, so I have spent quite a bit of time getting my hands (and boots) dirty chasing up a good farming story. The opportunity to explore the entire southern region again and reconnect with the growers was simply too good to resist. And as there were so many amazing stories out there, the book evolved to contain 31 stories about growers and around 50 recipes. How would you describe this book? What genre does it fit into? Beyond the Farm Gate is a collection of stories and recipes that take you into the hearts and homes of the south west farming community. Some of the recipes have been passed down from generation to generation and I was lucky enough to have these people share those recipes with me for the book. Essentially, this book will appeal to a broad section of the market; particularly food enthusiasts. There are also a number or organic and biodynamic farmers featured so if you are interested in sustainable farming practices then it’s also right up your alley. And, of course, there is the cook book element. To never be afraid to ask questions and go off the beaten track in search of a good story. Always take the time to listen to those around you and if you have time to chat over a cuppa then it’s even better. You will be surprised by what you can unearth over a cup of coffee. Let’s talk books and influences. Who are your favourite authors? Or food writers? I am a huge fan of Paul West from River Cottage Australia and have tried many of his recipes. I am a firm believer in the River Cottage philosophy of sustainable farming. In terms of cook books, my kitchen is brimming with Donna Hay, Bill Granger and Luke Nguyen cook books. I must add that I’ve read Under the Tuscan Sun and used its recipes on countless occasions too! I am influenced by so many authors, it’s extremely difficult to name just a few. Historical non-fiction and historical fiction is my favourite genre. Books such as the Batavia and The Widow Cliquot have resonated with me and I’ve read them both on several occasions. I also love local author, Liz Byrski, or Monica McInerney when I’m seeking some light reading, as well as Kate Morton. Let’s talk research. How did you go about it? How long did it take to research the book? I put a call out through the local media outlets for producers to contact me if they had a story to tell and listed the criteria I was looking for. This gave me a really good response, but I found a lot of the content came from trawling through websites and farmers markets and also by staying in the regions and asking around. As I said earlier, you can learn a lot over a cuppa. When I was staying in the regions, I took my dog with me and a pair of sneakers as I was training for a marathon at the time. Each day, I’d literally be running past an orchard and would stop in and have a chat with the grower. All in all, I spent about three months researching the book and finding the growers. Let’s talk favourite foods. What do you love to cook with? I could live on an endless diet of fruit, vegetables and seafood. I am heavily influenced by Asian cuisine and make a lot of seafood broths and Thai salads. I am very fortunate that my husband loves to fish in his spare time so I am spoilt for choice when it comes to seafood selection from our local ocean. My family also likes Italian cuisine and I am a master with the pasta machine. I always look forward to truffle season and head to Manjimup for fresh truffles every winter. It is such a versatile food and I’ve used truffle with seafood, pasta, eggs and all sorts of meats and it remains the star of the dish. Let’s talk about modern book promotion and marketing. What does marketing mean to you as an author? I have written two books previously. One is a children’s book titled “The Golden Orb” (2007) and the other is a business book “WA: The Quest for Excellence” (1999). Since those books were published, I’ve noticed a dramatic shift towards the promotion of the author in the marketing campaigns, particularly with the rise and rise of social media. Nowadays, a good marketing campaign for a book requires the author to be actively involved to build both their public profile and social media profile. People want to know the author’s background and by doing so it helps readers engage further with the book. Avenues such as Instagram, Facebook and Twitter allow people to communicate directly with the author, which is quite exciting. Let’s talk about what you love most about the south west? I love the lifestyle of the south west; the produce; the people; and the ocean. I moved here from the city nearly ten years ago and can’t imagine living anywhere else. It is a wonderful playground for my young children and there is so much at our fingertips. We live on the beach so I like to surf or walk along the beach tracks every day with my dog; or take the kids on a bike ride through the forest; go fishing or crabbing; or a trek down into the caves. I love that when a particular fruit or vegetable is in season, it’s a quick trip in the car to a local farm where I can pick the produce myself or collect a box of fruit from the local orchard. I’ve never eaten so well in my life and as I’m also a wine journalist, I am definitely spoilt for choice with wine selections in this region. Good luck with you new projects Danielle. 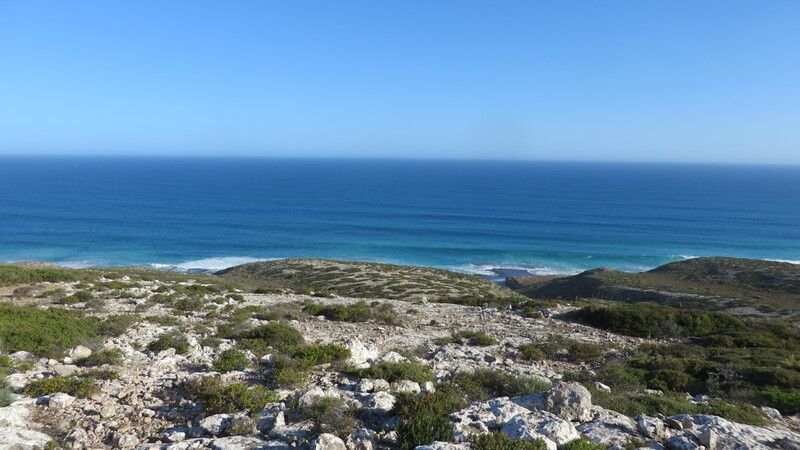 We had a few long but interesting days driving across the Nullarbor and sleeping in campsites along the way- very little by the way of modern conveniences- little mobile phone coverage, no internet, no electricity…but beautiful weather and scenery, and starry starry nights. 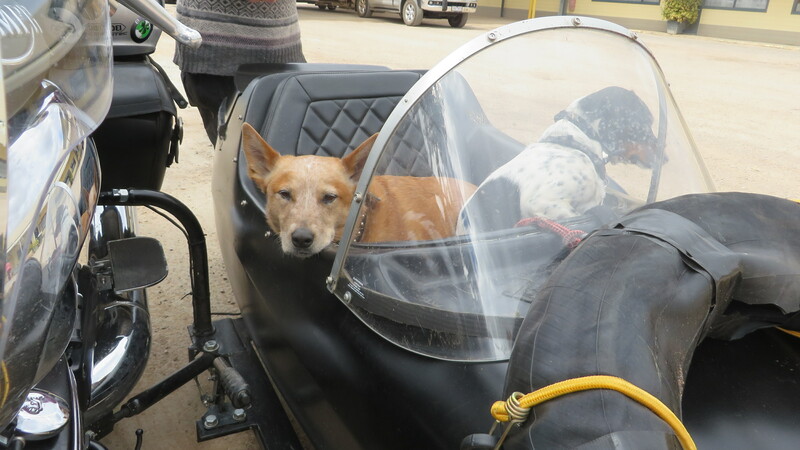 Such well travelled and well behaved dogs. They even have their own goggles. It has been an epic journey but now we are on our way home (actually have been heading homewards for a few weeks). 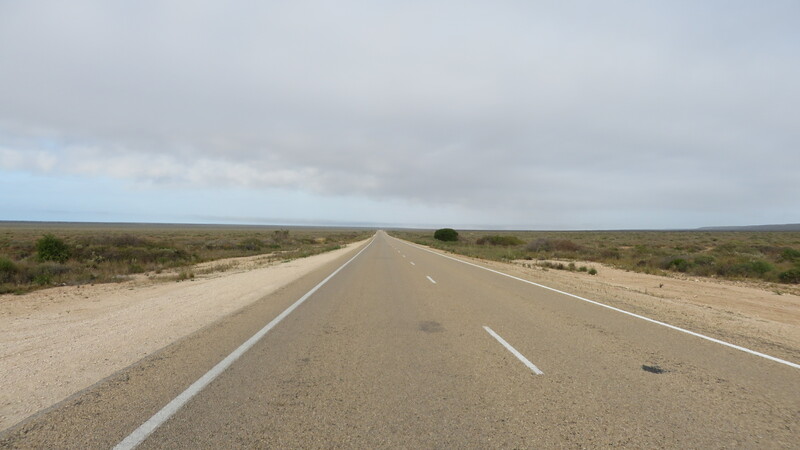 Tomorrow we start the long drive across the Nullarbor Plains – about 2000km which will bring us across the South Australian border into Western Australia. I hope to be able to share with you some finals photos of the spectacular “treeless plains”.